New Delhi, April 12: Bharatiya Janata Party (BJP) Chief Amit Shah on Friday faced flak for his statement of removing 'infiltrators' from India. The Kerala Christian Forum demanded an apology from Shah for his statement on the implementation of National Register of Citizens (NRC). The Forum citing that "it was a direct attack on the identity and integrity of the nation as a secular state". The Forum, in its statement said, "We hope that Amit Shah and BJP tender an apology to the nation and especially to the minority communities, which has felt persecuted by the statement". Amit Shah Has Net Worth of Rs 53.9 Lakh, Wife's Income Grew 16-Fold in 5 Years to Rs 2.3 Crore. During the campaigning in West Bengal's Kalimpong in Darjeeling Lok Sabha seat and Raigang seat in North Dinajpur on Thursday, the BJP Chief had said, "We will ensure implementation of NRC in the country. We will remove every single infiltrator from the country, except Buddhists, Hindus and Sikhs." 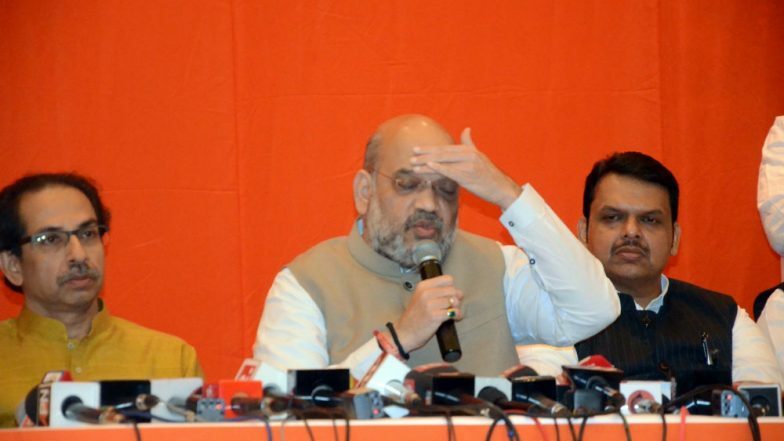 Shah also said that the BJP will scrap Article 370 of the Constitution which grants special status to Jammu and Kashmir and introduce National Register for Citizens across the country if voted to power again. BJP Manifesto For 2019 Lok Sabha Elections: List of Major Promises Made in 'Sankalp Patra'. When the NRC was first prepared in Assam way back in 1951, the state had 80 lakh citizens. In July 2018, the draft NRC was published and included the names of 2.9 crore people out of the total 3.29 crore applications. There has been a huge controversy over the exclusion of 40 lakh people from the draft NRC.